In our earlier version of this paper we found that households increase their spending when house prices rise, but we found no significant decrease in consumption when house prices fall. The results presented here with the extended data now show that declines in house prices stimulate large and significant decreases in household spending. The elasticities implied by this work are large. An increase in real housing wealth comparable to the rise between 2001 and 2005 would, over the four years, push up household spending by a total of about 4.3%. A decrease in real housing wealth comparable to the crash which took place between 2005 and 2009 would lead to a drop of about 3.5%. WHATEVER else we do about the tax code, we need to save the charitable deduction, which has done so much good in our country and springs directly from some of our deepest values. Nonetheless, Barack Obama was reelected. The outcome may reflect the economy’s slight improvement at election time (as happened when Franklin Roosevelt defeated the Republican Alf Landon in 1936, despite the continuing Great Depression). But Obama’s victory might also be a testament to most US voters’ basic sense of economic reality. WITH so much attention on the income divide between the top 1 percent and the other 99 percent of Americans, it might seem that having enormous business wealth wouldn’t be a great qualification for election as president. And if such a candidate pledged to keep taxes low for the wealthy, he would appear to have no chance at all in a troubled economy. THE boom and bust in the housing market was a dual social epidemic. First, there was an epidemic of positive thinking that led to high expectations for long-term home price appreciation — and for the economy, too. Then, after 2005, an epidemic of negative thinking discouraged many people from buying a house or from spending in general, and kept many employers from hiring. We would all like to think that our economy makes more sense than that, and, in some ways, it does. Between the end of World War II and the year 2000, the U.S. housing market contributed much to the strength of the macro economy. It was a major source of jobs, produced consistently rising home equity, and served as perhaps the most significant channel to the real economy for monetary policy. But starting with a drop in the S&P/Case–Shiller index for Boston in September of 2005 house prices began to fall in city after city. By the time it was over, home prices were down as much as 32% on a national basis, with many cities down by more than 50 percent, wiping nearly $7 trillion in equity off of the household balance sheet. WHY have so many teachers, police officers, firefighters and other public workers been laid off since the financial crisis hit — and why are so few being offered new jobs now? From July 2008 to July 2012, the number of state and local employees nationwide fell by 715,000, according to the Bureau of Labor Statistics. The reality is actually worse than that figure suggests. The total ended up 1.31 million people below where it would have been had public sector employment simply kept pace with population growth. HOW high can taxes go? In 1944, the federal personal income tax rate reached 94 percent. You might expect that such a high rate would lead to economic disaster or class warfare — or both. But it didn’t. Despite it, people prospered back then, and at least in some respects, American society was harmonious. World War II was raging, and perhaps because of it, people seemed to be more giving, while the government more actively encouraged altruistic acts. There are important lessons to be learned from that time. A speculative bubble is a social epidemic whose contagion is mediated by price movements. News of price increase enriches the early investors, creating word-of-mouth stories about their successes, which stir envy and interest. The excitement then lures more and more people into the market, which causes prices to increase further, attracting yet more people and fueling “new era” stories, and so on, in successive feedback loops as the bubble grows. After the bubble bursts, the same contagion fuels a precipitous collapse, as falling prices cause more and more people to exit the market, and to magnify negative stories about the economy. IMAGINE that you are watching an outdoor theater production while sitting on the grass. You have difficulty seeing, so you prop yourself up on your knees. Soon everyone behind you does the same. Eventually, most people are kneeling or standing, yet they are less comfortable than they were before and have no better view. Everyone should sit down, and everyone knows it, but no one does. This is a collective action problem, a phenomenon that is, unfortunately, all too common. At the moment, the trouble in our real estate markets and the drag these markets are placing on our entire economy may be understood as a collective action problem. In a nutshell, mortgage lenders need to write down the amounts owed by individual homeowners — that is, let everyone sit down and relax — but the different stakeholders have been unable to reach an agreement, even if it is in their common interest. Best of luck to you as you leave the academy for your chosen professions in finance. Over the course of your careers, Wall Street and its kindred institutions will need you. Your training in financial theory, economics, mathematics, and statistics will serve you well. But your lessons in history, philosophy, and literature will be just as important, because it is vital not only that you have the right tools, but also that you never lose sight of the purposes and overriding social goals of finance. WHY is there such strong political support for fiscal austerity, for government cuts and layoffs, at a time of widespread unemployment? Maybe it’s because we have the wrong metaphor stuck in our minds, and it’s framing policy choices in a misleading way. Our metaphors are like the icons on our computer screen, little pictures by which we condense complexities into manageable packets to refer to in our decision-making. Our brains may be hard-wired for them. What would happen if, as so many people are hoping, home prices were to go up dramatically again as they did in the early 2000s? Would such a change really benefit society? People who most ardently desire this are homeowners who are underwater on their mortgages, who took out mortgages at the peak of the boom and now find that their homes are worth less than they owe on them. They would just feel relieved to get out of the red as soon as possible. MANY finance students and members of the Occupy Wall Street movement have a great deal in common: a deep interest in democratizing Wall Street. At Yale, where I have been teaching for 25 years, I’ve been hearing a great deal lately from my students about financial innovations linked to social media. One such innovation, called crowdfunding, is embedded in the jobs bill signed into law by President Obama on Thursday. The idea involves Web sites that help many investors contribute small amounts of capital to projects that they read about online, and that might otherwise be starved for money. Though the concept is being tried, in different ways, on sites like Kickstarter.com and Kiva.org, it is still very much an experiment, and its real-world benefits for small investors are still uncertain. IN SPITE of all the ugly criticism that the financial community has been getting since the financial crisis began in 2007, there is something beautiful about finance. It can charm those who see beauty in abstraction or who are impressed by the complex systems that make our civilisation work. When I teach introductory finance to young people here at Yale University, as I have been for 25 years, I tell the students that the sense of beauty is not to be neglected when choosing a career. One ought to live a life genuinely involved with one’s economic function, and so the aesthetics matter. Mathematical intricacies are part of the beauty of finance. There is a natural aesthetic in systematisation and generalisation of our quantitative intuition, in the finality of proofs and their revelation of a transcendent reality. Mathematicians also tend often to find themselves interested in finance. It is a curious historical fact that Thales of Miletus, the man often acclaimed as the world’s first real mathematician, c.624-c.547 BC, was so interested. Aristotle described him as a successful speculator in options on olive presses. Europe has had more than 250 wars since the beginning of the Renaissance in the mid-fifteenth century. So, it is not alarmist to worry aloud about preserving the sense of community that Europe has enjoyed for the past half-century. The economic power that some in the financial community attain bothers many people deeply. It offends our ideal of a society that aspires to respect, appreciate and support everyone. 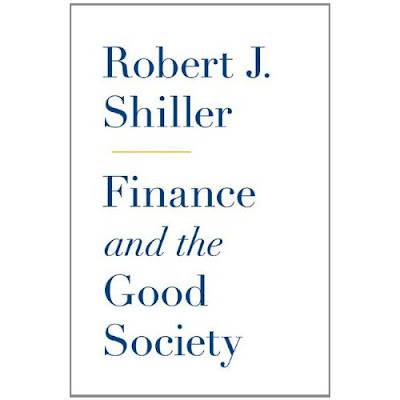 The pursuit of power that often drives financial capitalism seems contrary to the concept that finance should be about the stewardship of society’s assets. Yet successful societies develop elites partly because they need leaders with the power to get things done. We have to make it possible for a relatively small number of people to use their personal judgment to direct our major activities. A system of financial capitalism will eventually imbue those in possession of such faculties with wealth and power. Still, there is a reason that the level of resentment of the wealthy and powerful is so high: A free capitalist system can support an equilibrium in which some kinds of social conspiracy pay off. George Akerlof, in his 1976 article, “The Economics of Caste and of the Rat Race and Other Woeful Tales,” explains the tendency of certain social groups to form a sort of business conspiracy against outsiders. He uses the caste system, most notorious in traditional India, to examine the phenomenon of power elites in business and finance. We have ample reason to believe that financial markets are quite useful. And yet our wonderful financial infrastructure has not yet brought us the harmonious society we might consider ideal. There remains the ugliness of extreme economic inequality, of some who endure hardship while others are pampered. While some inequality is actually in many ways a good thing, for the motivation and stimulation it provides, arbitrary and extreme inequality poses problems. It is an imperative that people feel society is basically fair to them. We see this aversion most clearly today in the worldwide protests associated with Occupy Wall Street and its variants. Rising inequality is certainly a valid concern, and one that must be addressed. But financial capitalism does not necessarily produce unjust wealth distribution. Many people assume there is something sleazy about the business of finance, or the people who practice it. This impression is probably behind the commonly voiced opinion that it is a shame so many young people today are going into finance-related occupations, when they could be doing something more high- minded in other fields. It’s true that many people in business do seem to feel rewarded, for the short run at least, in putting salesmanship ahead of purpose and in cutting legal corners. They seem too focused on money to have moral purpose in their business affairs. Yet if one lives in the real world, one has to work with, or even for, such people. They are a reality, and it makes sense to try to understand them -- to see if they are as simply sleazy as people think. One of the myths surrounding economic inequality in our society is that high incomes are often the result of selfishness and narrow-mindedness, rather than idealism and humanity. We tend to think that those in careers other than our own are fundamentally different kinds of people. Personality and character differences are, indeed, somewhat associated with occupation. But we tend to attribute the behavior of others to personality differences far more often than is warranted. YOU don’t have to be a genius to pick good investments. But does having a high I.Q. score help? The answer, according to a paper published in the December issue of The Journal of Finance, is a qualified yes. The study is certainly provocative. Even after taking into account factors like income and education, the authors concluded that people with relatively high I.Q.’s typically diversify their investment portfolios more than those with lower scores and invest more heavily in the stock market. They also tend to favor small-capitalization stocks, which have historically beaten the broader market, as well as companies with high book values relative to their share prices. The results are that people with high I.Q.’s build portfolios with better risk-return profiles than their lower-scoring peers. Does Austerity Promote Economic Growth? In his classic Fable of the Bees: or, Private Vices, Publick Benefits (1724), Bernard Mandeville, the Dutch-born British philosopher and satirist, described – in verse – a prosperous society (of bees) that suddenly chose to make a virtue of austerity, dropping all excess expenditure and extravagant consumption. What then happened? Spend, Spend, Spend. It’s the American Way. GRIDLOCK in Congress implies that there won’t be any collective decision to spend more as a nation to get out of our slump. Increases in deficit spending seem unlikely, and so does the balanced-budget stimulus I’ve been advocating in this column. For now, we must pin our hopes for a robust recovery on the willingness of millions of consumers to spend substantially more. But what really drives consumer spending? Economists are reasonably good at divining how consumers tend to react to changes in government policy, but in the absence of such policy, and when the economy is in the doldrums, they aren’t very good at predicting spending shifts. A new book, “Beyond Our Means: Why America Spends While the World Saves” (Princeton University Press), offers some insights. 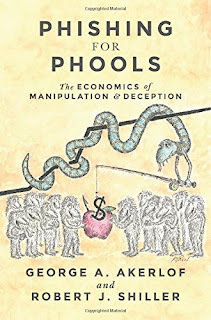 It was written by Sheldon Garon, a Princeton professor who is not an economist but rather a historian with a sociological bent. WE used to talk a lot about helping homeowners in trouble. Instead, the bankers were bailed out — and now we hardly talk at all about aiding ordinary Americans. Yet the problems facing homeowners today are even bigger than they were in the dark days of the financial crisis. According to the S.& P./Case-Shiller 20-city Home Price Index, home prices have fallen 13.2 percent since Lehman Brothers collapsed in September 2008. Over the same period, of course, unemployment has climbed.